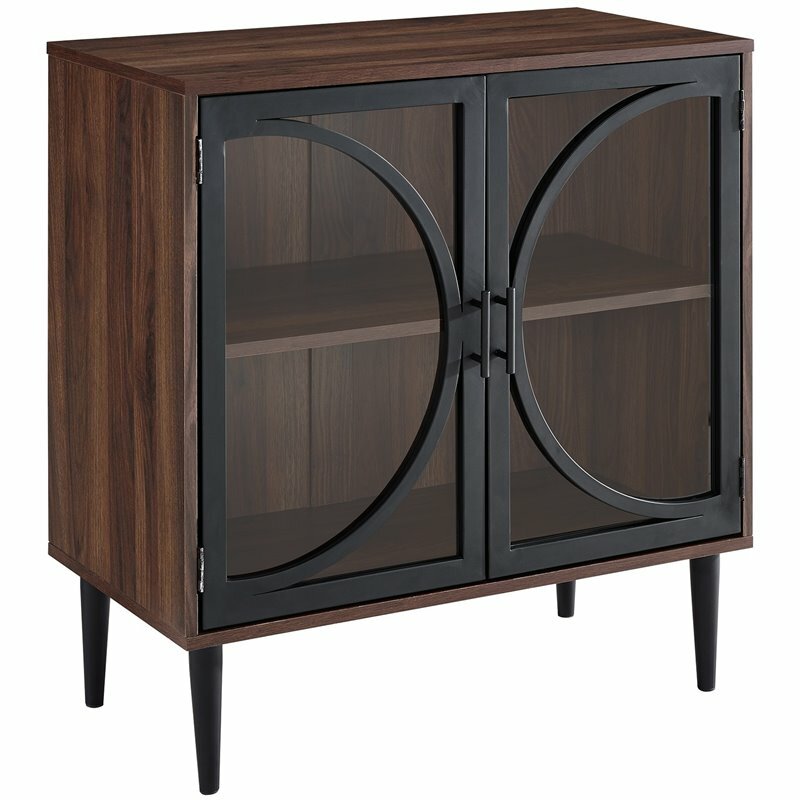 With distinct decorative door fronts of tempered glass and metal, this multifunctional accent console gives both storage space and a stylish addition to any room. 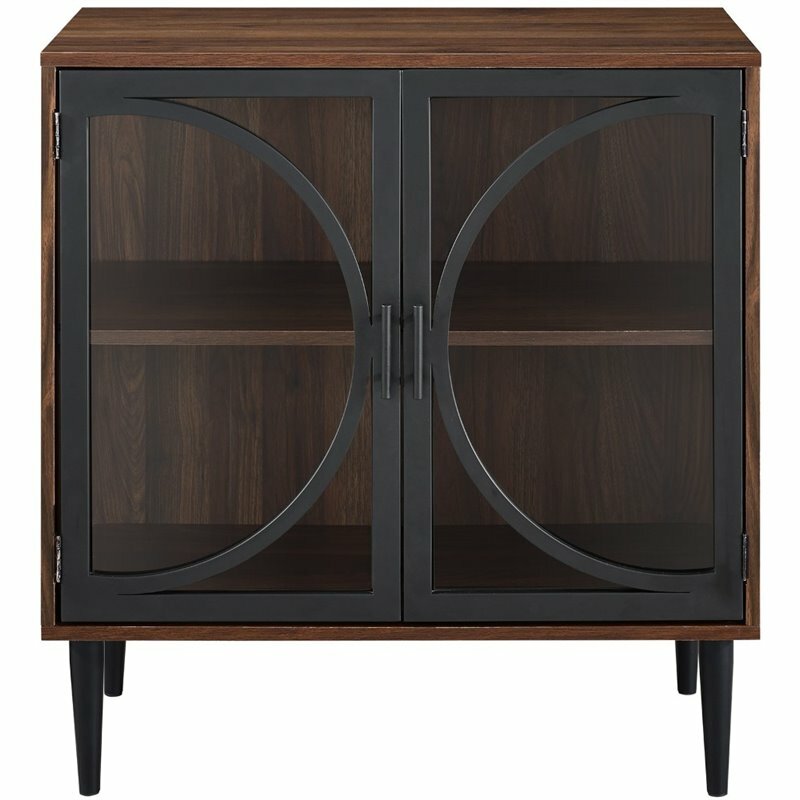 Set near a wall in your living room as an accent console, in your kitchen as a storage cabinet for your fine china, or as a bar cabinet with your drinks and glassware, as the shelf is adjustable to fit your items. 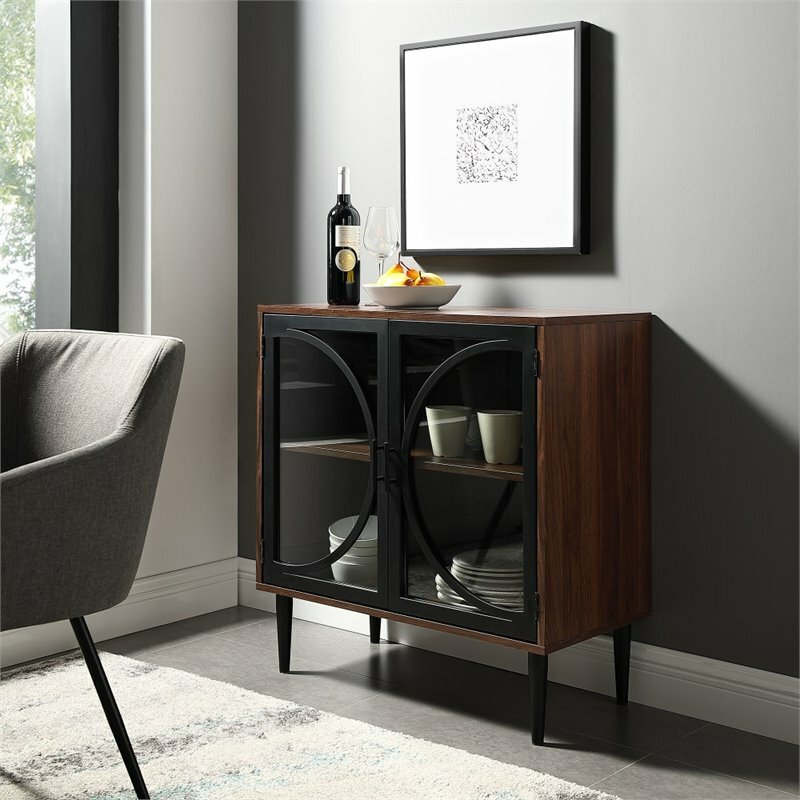 Held up with mid century modern tapered legs, this piece incorporates both an industrial chic look and transitional style for an on-trend element in your home. This consumer rating is based on 203 reviews of all Walker Edison products. 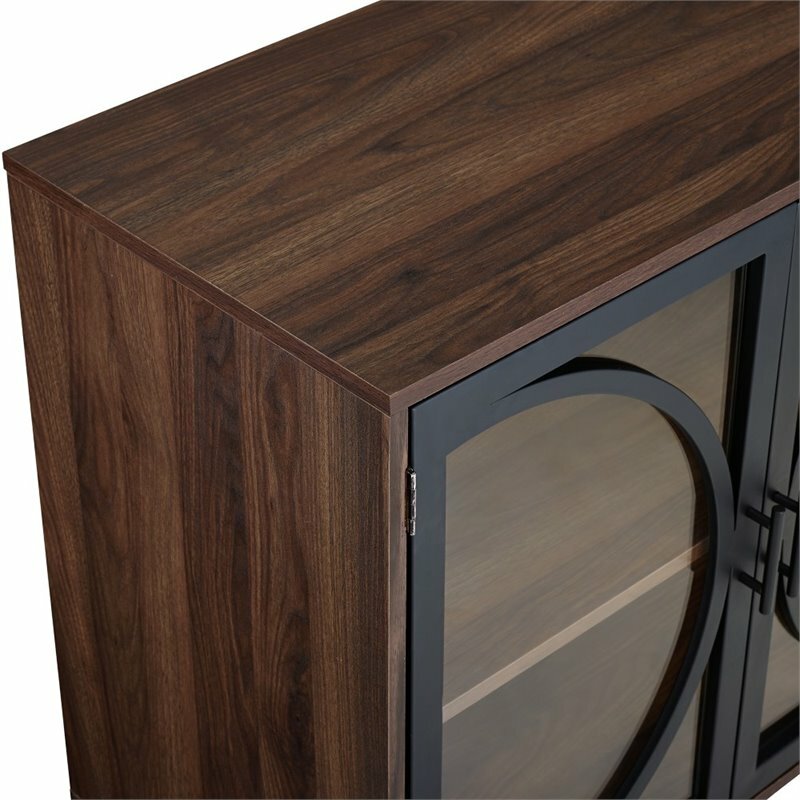 The 30 inch Metal Door Accent Console with Tempered Glass in Dark Walnut has not yet been reviewed, be the first!